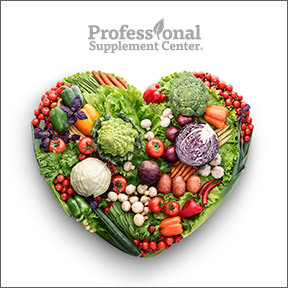 Chronic inflammation is now recognized as an underlying contributor to life altering and life threatening chronic diseases, including diabetes, cancer, arthritis and cardiovascular, pulmonary, neurological, periodontal and autoimmune diseases. Unlike short term, rapid onset acute inflammation, which occurs when there is a an injury, infection or illness, chronic low-grade, invisible inflammation can slowly simmer for months or years, draining energy, weakening the immune system and triggering a variety of conditions and diseases. Research now shows that successful aging appears to be related to an optimal functioning of the immune system, which regulates the immune-inflammatory responses. While there is evidence that our genetic makeup plays a role in our predisposition to acquire health problems, including the development of systemic inflammation, your health may not be genetically fixed. Lifestyle factors have a significant impact on wellness. Those who wish to cool the fires of chronic inflammation and maintain their health well into their senior years should take a hard look at their diet and other lifestyle choices. Lifestyle factors that play a part in cellular inflammation include the usual suspects — the standard American diet, smoking, obesity, chronic stress, poor sleep habits, excess alcohol consumption and a sedentary lifestyle. Jack Chellum, author of the book The Inflammation Syndrome, proposes that diet is largely to blame for the increase in inflammatory diseases. He suggests that “the typical western diet now contains 30 times more pro-inflammatory nutrients than it did a century ago,” and concludes “people have become more nutritionally and biochemically primed for powerful, out-of-control inflammatory reactions.” Once the body is primed for inflammation, environmental stressors or a smoking habit can trigger an onset before the body has time to cool down on its own. 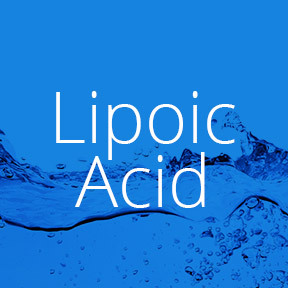 Mr. Chellum suggests that strong inflammation producing components include obesity, lack of regular exercise, over-exercising to the point of injury, and dietary imbalances including an inadequate intake of essential fatty acids and antioxidants, which are used by the body to manufacture anti-inflammatory compounds. While conventional medical treatments to reduce inflammation typically address pain and suppress the immune response with OTC and pharmaceutical medications, they often come with the risk of serious side effects and don’t address the underlying disease processes. Moderate exercise, losing weight, reducing stress, and eating better can help to squelch the body’s inflammatory response. 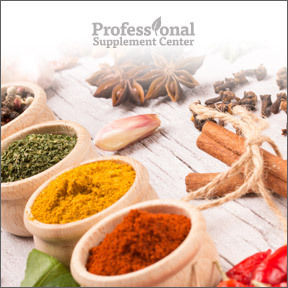 As dietary changes and nutritional supplements can help to normalize the immune response, some are looking past the medicine cabinet and to the kitchen for natural pain relief, which can be found in anti-inflammatory foods and spices. One reason the Mediterranean eating style has become so popular is that the diet avoids inflammation-producing sugary, packaged and fried foods and includes of lots of anti-inflammatory components, including omega-3’s, colorful antioxidant fruits and veggies and moderate amounts of red wine. Ginger – In Traditional Chinese and Ayurvedic medicine, ginger has been used for thousands of years to restore balance or homeostasis, as it is believed that inflammation is the result of an imbalance of bodily functions. Scientific research has shown that gingerol, the active bioactive compound of ginger, has powerful antioxidant, anti-inflammatory and medicinal properties that can aid digestion and help reduce nausea, muscle pain and soreness. Studies have shown that ginger can help reduce the pain and stiffness associated with rheumatoid and osteoarthritis and may help prevent joint inflammation and damage. Turmeric – Utilized as both a flavoring and a traditional medicinal herb, turmeric contains powerful bioactive compounds known as curcuminoids. Curcumin, the main active ingredient found in turmeric, is a potent antioxidant and is strongly anti-inflammatory. Studies show that the anti-inflammatory compounds found in turmeric effectively block enzymes that cause pain, swelling and inflammation and positively affect arthritic symptoms by decreasing overall pain and stiffness. Cinnamon – In addition to being a delicious ingredient of many foods and drinks, cinnamon is packed with antioxidants and antimicrobial properties. Cinnamon helps to prevent inflammation by blocking the formation of compounds that activate the immune response and trigger inflammation. Cinnamon has been shown to improve insulin sensitivity and to help prevent blood sugar spikes following a meal. Garlic – Garlic contains allicin, which has many proven therapeutic benefits. Used as a medicinal since the time of the Pharaohs, garlic is anti-inflammatory, antibacterial, antioxidant, anti-cancer and antiviral. A long term study showed garlic’s anti-arthritic properties may help reduce the risk of developing osteoarthritis. In addition, garlic has been shown to boost the immune system and have positive effects on blood pressure and blood lipids. Pepper- Peppers, especially chili peppers, contain capsaicinoids, which have extraordinary anti-inflammatory, analgesic, anti-cancer benefits. Research has shown that capsaicin taken orally in whole form or as a supplement or applied topically can relieve arthritis pain, while it’s potent anti-inflammatory effects help fight chronic inflammation. Rosemary – Rich in active compounds, rosemary is antioxidant, anti-inflammatory and anti-carcinogenic in nature. As an analgesic, rosemary may be taken orally to act as a natural pain reliever or applied topically, to reduce muscle and arthritis pain. In addition to its ability to reduce inflammation of the muscles, blood vessels and joints, rosemary helps protect the cardiovascular and immune systems, boosts memory and improves circulation. Ginger Extract by Pure Encapsulations – Each capsule contains 500 mg of ginger extract standardized to contain 5% gingerols. Gluten and soy free, Non-GMO vegetarian formula. 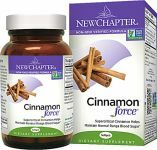 Cinnamon Force™ by New Chapter – This proprietary cinnamon blend contains both cinnamon bark and supercritical cinnamon extract in a whole food, naturally gluten free, Non-GMO vegetarian formula. C3 Curcumin Complex by Designs for Health – One capsule contains 400 mg of Curcumin C3 Complex® standardized to contain 95% curcuminoids. Gluten and dairy free, Non-GMO vegetarian formula. Rosemary by Herb Pharm – This certified organic rosemary oil is hand-harvested and freshly extracted from rosemary leaf tips. Plant based 100% organic formula. Super Garlic 6000® by Metagenics – This super concentrated raw garlic supplement yields 6000 mcg of allicin per tablet. Gluten, soy and dairy free, Non-GMO vegetarian formula. Curcumin 500 with Bioperine® by Pure Encapsulations – Each capsule delivers 500 mg of turmeric, standardized to contain 95% curcuminoids plus Bioperine® black pepper extract standardized to contain 95% piperine. Research shows that black pepper has the potential to enhance bioavailability and promote absorption of curcuminoids. Gluten and soy free, Non-GMO vegetarian formula.